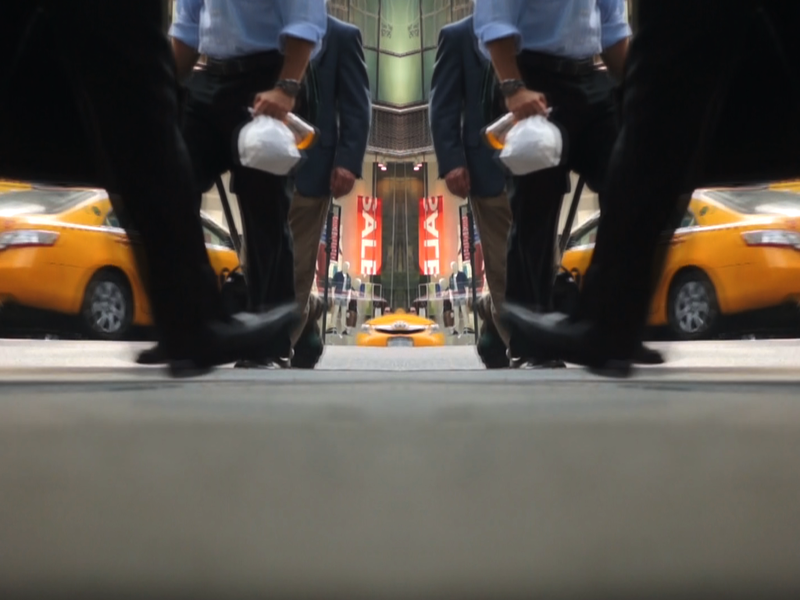 The original video is 2 minutes shot in 60i HD with a Sony NEX5n placed on the sidewalk at the corner of Fifth Ave. and 42nd St. on a regular weekday. I applied linear symmetry and various overlays and speeds. The challenge was looking good ending at whatever time the "In C" improvisation ended. The Sensorium Saxophone Orchestra: "IN C" CD release party on Living Records. The S.S.O. will perform revised movements from Benjamin Miller's "Symphony of Suspicious Activity" ending their set with Terry Riley's minimalist classic "In C". 3-walled visual projections by NYC visual artist Orin Buck. 17 FROST Gallery is at 17 Frost St. @ Union Ave., Williamsburg, Brooklyn, NY.